Home > Guitars > 7 and 8 String Guitars – When 6 is just not enough! 7 and 8 String Guitars – When 6 is just not enough! The Ibanez RG2228 was the first mass produced solid body 8 string guitar. But is it still the best? First it was 7 strings, then it was 8 where will it end? The question is are 7 and 8 string guitars a good thing, extending the boundaries for innovative guitarists or a waste of time? There is often in life a desire to make things bigger and better. This desire also seems to drive guitar designers and manufacturers. How many pick-ups can you fit on a guitar, why would you want a guitar with only one neck when two necks is possible. The list goes on of bigger and better guitar creations. However, much of this is not particularly mainstream and sits firmly in the world of bespoke custom guitars. One trend that is fairly mainstream now is the trend for adding more strings to the guitar. First it was 7 string guitars but then that wasn’t enough so now 8 string guitars have been introduced. But do we want 7 and 8 string guitars? What is the history behind 7 and 8 string guitars? Seven string guitars are not a new thing. They have been around for a long time with historical records making reference to 7 string guitars as far back as the 18th century. The first electric 7 string guitar version is believed to have been built for the jazz guitarist George Van Eps by Epiphone in the 1930s. 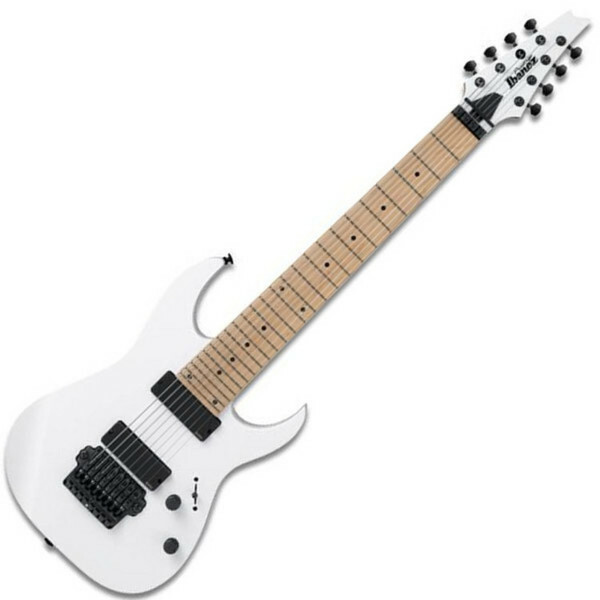 However, the modern seven string electric is perhaps best associated with the likes of Steve Vai who toured with Whitesnake using an Ibanez 7 string prototype and later recorded a number of tunes on his 1990 album Passion and Warfare. 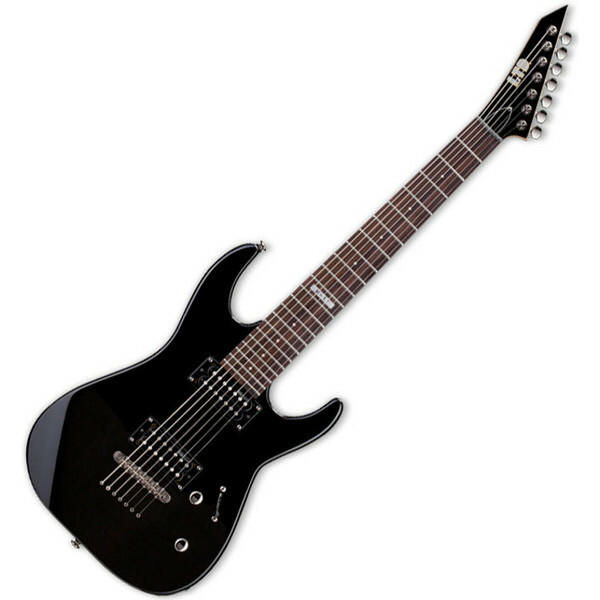 The 7 string electric then went onto be heavily associated with the nu-metal sound where the seventh string extended the tonal range of the guitar giving a low register suited to the heavy riffing associated with this style of music. If you are looking for a budget seven string guitar then the ESP LTD M-17 guitar could be for you! Like 7 string guitars 8 string guitars are not as new as you would think. However, they are a lot less common than their 6 and 7 string counterparts. Various non-standard guitars were made in the 19th century, including eight-string guitars played by Italians Giulio Regondi and Luigi Legnani. As far as we know the first mass produced 8 string electric guitar was introduced by Ibanez. The Ibanez RG2228 was launched in March 2007 and is quite a monster of a guitar creating quite a stir in that years NAMM show. Other guitar manufacturers were quick to follow with the likes of BC Rich, Schecter, ESP and Jackson all launching mass produced 8 string guitars. Now I have to admit that I have not been particularly fussed by this desire for more strings. I think that this is largely because I struggle enough with six strings without having to worry about 7 and 8 string guitars. However, that is just my view, so in pursuit of the unbiased truth we would like your view. So what do you think are 7 and 8 string guitars the cutting edge or a waste of time?